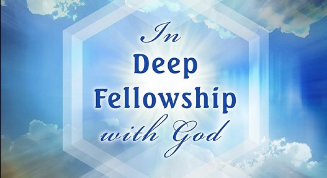 Fellowship is a communal bond that puts us in deep relationship with God and with one another. We are all members of God’s family, and there are millions of people in that family out there in the world today. Simply put, We Are All One. As Interfaith Ministers/Spiritual Leaders, we are charged by God to not only share the joy of His most holy Presence but to be in Fellowship with Him and others as well. I was at my Church breakfast function one Sunday morning. The room was filled with people eating, laughing, introducing themselves, welcoming newcomers, and demonstrating how Fellowship with God can bring everyone closer together with each other. The room had a palpable feeling of joyfulness. It asserted for me that the congregation was there because they wanted to honor Him. It made me think of God’s Presence among us and how important a church community can be to the individual. There was no doubt in mind that God’s Love was present, and for this church, how very important it was for everyone to demonstrate His Love and to have others experience it. Fellowship is one of the most important things that God asks of us. He wants us to come to Him. If we let Him, God will speak to our hearts and give us the direction we need. God asks that we serve one another — humbly in Love. The good news is that Fellowship with God begins for each and every one of us, Now. When we make Fellowship with God a priority, everything begins to fall into place as the Love of God takes over in our lives. We all know with certainty that we live in a dark world. To be in deep Fellowship with God, we must walk in the light.